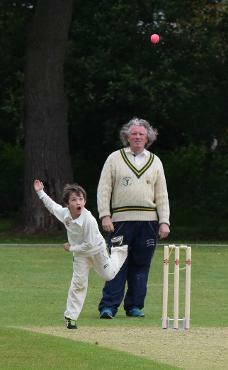 DAN'S THE MAN: Danny Barlow in action at Sunbury in the Gubby Allen Trophy. 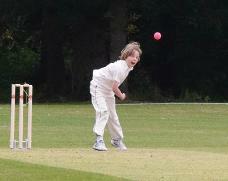 THE FAST AND THE FURIOUS: Olly Richards was a key all-rounder at U11 and U12. SURE THING: Dilly Shori who produced some match-winning performances again in 2018. CRUSH: Celebrations after the Cup semi-final win over Indian Gymkhana. From January 15th to March 26th for 10 weeks with a one week break at half term (February 19th). £120 & £100 for siblings. From January 18th to March 29th for 10 weeks with a one week break at half term (February 22nd). £140 & £120 for siblings. b) Confirm day you wish your child(ren) to attend training. (It is not necessary to book all eleven weeks - pro rata bookings are accepted. c) Once you have received confirmation of booking, we will advise regarding payment due and how it should be made. Boys and girls from 5-13 years old. Sheen Pavilion, Sheen Common, opposite 3 Fife Road, East Sheen SW14 7EW. 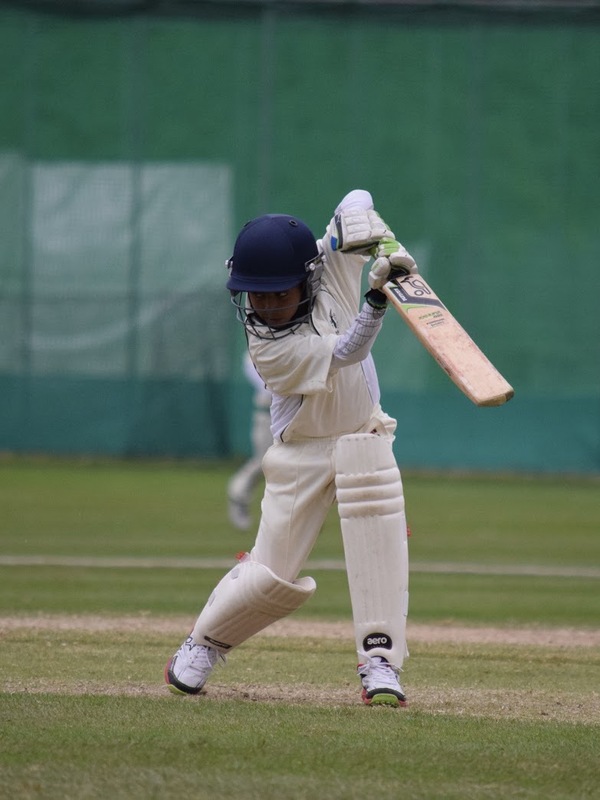 10am-12.30pm: A variety of Long Term Athletic Development games in the morning including football, handball, hand golf, quick cricket, continuous cricket and short taped ball matches. 1.15pm-4pm: Tape ball 2 x 10/10 matches/pairs games. NOTE: As well as general Camp, we intend to run small group hard ball net sessions during the day for Borough standard cricketers and above. Nets will be out of bounds to younger players at this time. Tony Bradshaw, Josh Ashbery or Ben Compton will be in attendance each day with the requisite number of assistant coaches. Bring a pack lunch, water bottle and waterproof top! Wearing whites is optional - otherwise just training/sports clothing. NOTE: the weather can sometimes not be kind, but once started we continue with our camps, come-what-may. If weather is particularly bad we will give you advance notice of cancellation – but it needs to be particularly bad! For advance booking and payment, the cost is £20 per day for the first child and £18 per day for each sibling thereafter, provided the sibling(s) attends on the same day as the first child. For those who turn up and play on the day, the fee is £25 with siblings charged at £20 per day. Please e-mail by return. Newcomers need to provide : Name(s) of child(ren), DOB's, Schools, Address, Tels. Please confirm dates that your child(ren) will be attending camp, even if your intention is not to pay until the day of camp. This will help as regards booking support coaches on my team. IT IS NOT A PREREQUISITE THAT BOYS AND GIRLS BLOCK BOOK FOR THE WEEK. YOU MAY PICK AND CHOOSE THOSE DAYS YOU WANT YOUR CHILD TO ATTEND.